A year ago this week, I was having a tough time of compiling a scaled down “Best of the Year” list due to the unexpected flurry of note-worthy material released during 2009. Now I find the task even harder considering the avalanche of great releases that saw print in 2010. A chief reason for this is the recent explosion of exceptional archival comic strip collections, lavish artist career overviews, and beautifully produced art books by publishers like Fantagraphics, IDW, and Flesk Publications. Add to this numerous comic book mini-series, one-shots, and monthly titles more than worthy of note and you have a year that would command any sequential art enthusiast’s attention. So, without further ado, let’s take a look at some of the great material that hit the shelves in 2010! 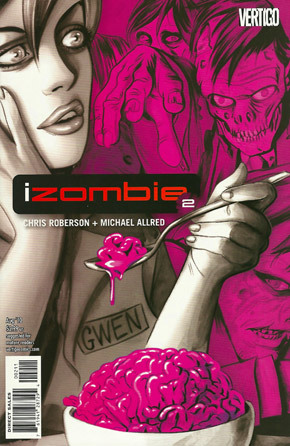 Though Vertigo’s American Vampire got the lion’s share of the imprint’s attention in 2010 (due in no small part to it featuring Stephen King’s first tales written directly for comics), I had a lot more fun with Chris Roberson’s and Michael Allred’s pop monster-mash i Zombie. The central character, Gwen, is a beautiful young woman who just happens to be a member of the undead. Forced to periodically eat human brains to maintain her normal appearance, she is also saddled with the memories contained within the consumed grey matter. This premise alone could potentially carry a series, but throw in a dapper mummy, a were-terrier, a coven of vampire babes, a secret monster hunting society, a Mod ghost, and a grandfather whose soul is stuck in a chimpanzee, and you have one of the most entertaining Vertigo titles in years. Alternative anthologies like RAW, Buzz, and Snake Eyes may be gone, but their spirit is alive and well in the pages of the third volume of Hotwire Comics. The sheer energy and exuberance within Hotwire‘s pages is so intense the images practically vibrate right off the page. My pick for the best in the book: Glenn Head’s Vulvina, The Ventriloquist’s Daughter, a re-imagining of the life of German artist Hans Bellmer and his obsession with a dummy fashioned to look like a young girl. Eagle-eyed admirers of German Expressionist art will spot characters from the work of Otto Dix, George Grosz, and others populating the background of Head’s intensely detailed panels. For more on Hotwire Comics #3, please see my previous Sequential Sunday article here. The thought of French alternative artist Blanquet doing an all-ages book seems unlikely to say the very least. 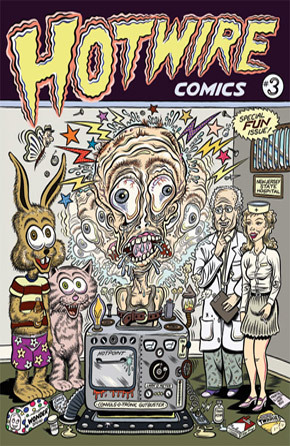 However, his highly unique graphic novel Toys in the Basement is just that: an art book every bit as bizarre as an admirer of his would expect, with a story (about two children who discover a menagerie of broken, neglected, living toys) that is appropriate for all ages. I hope any parent considering buying this book doesn’t hesitate after seeing the bizarre artwork found within. 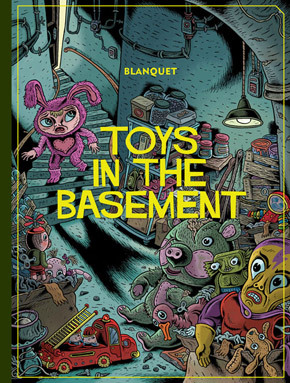 Not unlike those at Pixar whose Toy Story films share similar themes, Blanquet understands that children are much smarter and more perceptive than we give them credit for and often don’t mind a little oddness in their entertainment. Fans of the legendary artist William Stout had much to celebrate in 2010. Early in the year we saw the release of Dinosaur Discoveries and its kid friendly companion Dinosaur Discoveries A-Z (both expansions on his classic 70’s volume The Dinosaurs: A Fantastic New View of a Lost Era.) 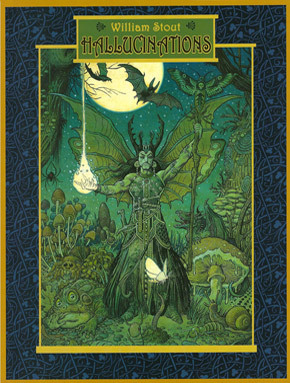 By the end of the year there were not one, but two collections of his outstanding, top-notch fantasy art titled Hallucinations and Inspirations. All of the material in these books (which spans three decades) had never been collected before. Breathtaking artwork from an acknowledged master of the field. Top Pixar talent Scott Morse has done a lot of work in the comics field, and some of the most dynamic can be found in his IDW six issue mini-series Strange Science Fantasy. 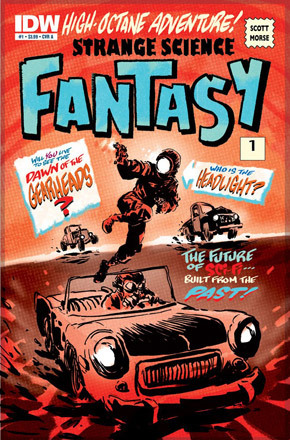 Each page features three tiers of “widescreen” format art, all bearing Morse’s signature mid-century modern style, with narrative text below it. The end result gives the reader the feeling that they’re seeing elaborate storyboards from the coolest movies they will never see. I previously covered the work of Scott Morse here. 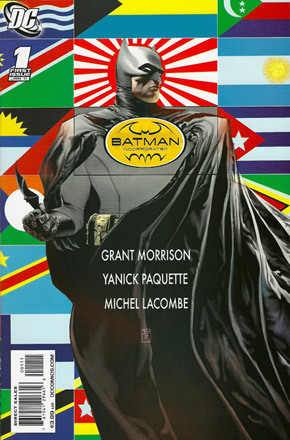 Some fans have been divided regarding the direction of the various Batman titles recently penned by Grant Morrison (including Batman and Robin and Batman: The Return of Bruce Wayne.) I land firmly on the pro-Morrison side of the fence, being a big fan of the surreal, fever-dream logic stories he’s been producing since his ground-breaking run on Doom Patrol 20 years ago. Still, of all the recent cape and cowl material, you can’t beat the violent nuttiness of the recently launched Batman Incorporated. Now that Bruce Wayne is officially back from the dead, he begins a worldwide recruitment for what will essentially be a Batman franchise, with crime fighters in major cities across the globe carrying the Batman mantle. To get thing started in a truly oddball fashion, Batman & Catwoman travel to the bizarro capitol of the world, Tokyo, to enlist the first recruit. Only in a Morrison Batman book would you have a villain devise a plan to kill Tokyo’s current young crime fighter by filling the apartment below his with water, putting a giant octopus in it, and then attempting to trick him into the lair of the briny beast. Blood-soaked superhero insanity of the highest order, Batman Incorporated has me for a reader for as long as the title runs (and has Morrison for its writer, of course). 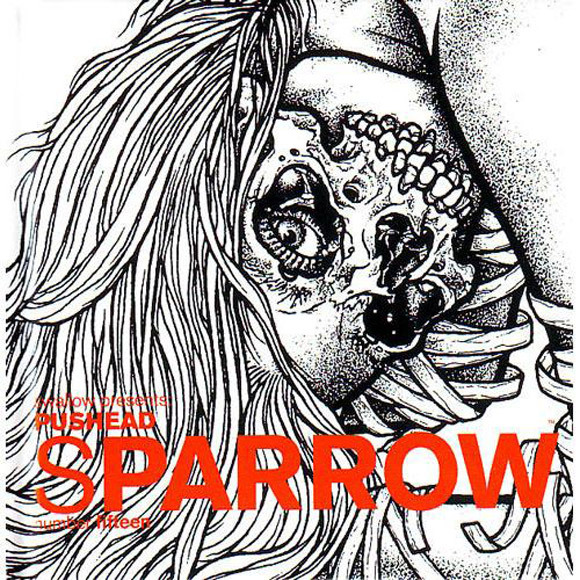 IDW continued its series of nifty little art books titled Sparrow with this look at the imagery of punk and metal artistic icon Pushead. Part Virgil Finlay and part Alex Nino, Pushead’s death-obsessed art is almost too cool for words. Hopefully this book is a precursor to what would be a more expansive look at his career. For more on Pushead please see here. On that note, let’s end part one of our look at the best and brightest 2010 had to offer. Please come back next week for a look at more of 2010’s notable release including work by Mark Schultz, Carol Tyler, Jaime Hernandez, Bernie Wrightson, David Petersen, Charles Burns, and the ultimate outsider folk artist Norman Pettingill!